I clearly remember the surreal yet wonderful moment when we entered the NICU (Neonatal Intensive Care Unit) for the 1st time to see our boys after they were born. 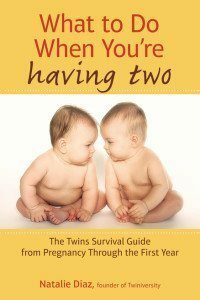 We were welcomed by a team of attentive nurses and one asked “Are you ready to do changes and feedings?” My husband and I happily said, “Yes!” She then rattled off instructions like a drill instructor, “Feedings for each baby are every three hours, Twin B first, then Twin A one hour later, changes are before and after each feeding…” The rest was a blur. I’m sure the room spun 3x’s during her drill. 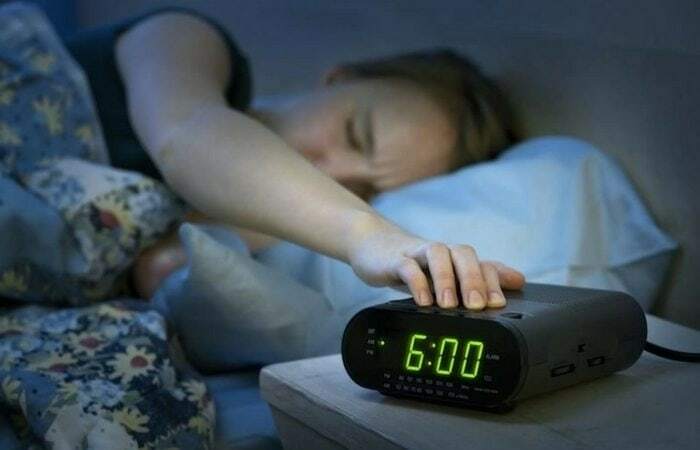 I shook my head as if to wake up and said ‘Wait! What?’ I knew about round-the-clock feedings, but the reality of it all didn’t hit me until that moment. I was worried, wondering, how I could do this by myself, x’s 2? Did I mention I was also recovering from a C-section? For the first time, I felt overwhelmed. 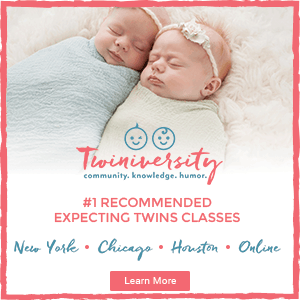 The nurse saw the look on our faces, and said, “Don’t worry, we’ll show you how to work together to get at least six hours sleep each.” I’m happy to pass along these strategies to help you and your partner (the new tag team) to get more sleep while caring for newborn twins during the early months and beyond. Caring for multiples is like basic-training combined with a relay race. We were up for the challenge, now you will be too! Ready! Set! Go! These strategies will work for formula-fed and breastfed babies, all you need to do is have bottles ready. In our case, I took the daytime shift, 6 am-12 am, while my husband took the overnights; 2 am-5 am (adjust to your needs/schedules). While this seems unbalanced, it worked for us. – Teamwork: If your partner can’t help, choose someone who’s dependable, consistent and doesn’t mind following schedules/instructions: a family member, friend or hire someone. There’s no question you can handle this, but even Superheroes need back-up. Call on one or two people no matter what the situation. FYI: round-the-clock feedings should only last 3-4 months; your pediatrician will confirm the next milestone – sleeping through the night. Now you’re saying, “OK, I get it! I’ll get help. But, what newborn has a schedule?” I have news for you. Most babies, especially twins, who were born in a hospital and spent time in a NICU have one. Of course the hospital has round-the-clock staff for round-the-clock feedings, but it’ll make life easier if you stick to it once you get home. If the original schedule doesn’t work for you, talk to the pediatrician, and make adjustments slowly. I’m sure this all sounds intimidating but I promise it’ll go quickly. When I think back now, it’s all a blur. Honest! In a blink an eye, it’s over. Tag-team partners need an efficient way to communicate baby care details. We kept feeding journals/baby-trackers (for each baby) in order to note feedings, changes, etc.. There’s a reason why overnight feedings are called a ‘dream’ feed, don’t expect to remember anything by morning. Communicating in this way helps misunderstandings too and prevents one partner from waking the other unnecessarily. Remember your shared goal is to not only make sure that the babies are fed and cared for, but also to help each-other get more sleep, which makes documenting important. 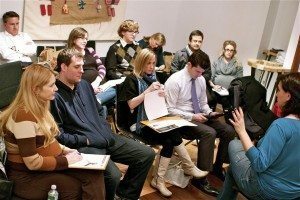 There are many helpful journals and trackers to help you communicate. There are apps, online templates, or you can DIY with sheets of paper in a binder. 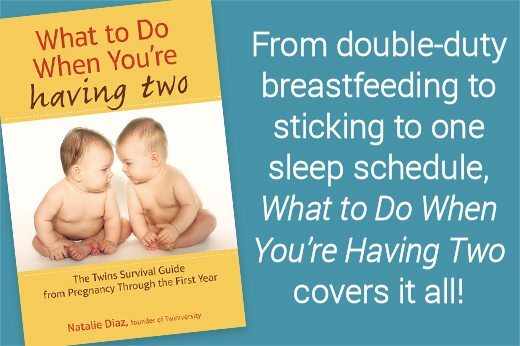 Even in the back of Natalie Diaz’s book, “What to Do When You’re having two” there is a daily log that you can chart everyday happenings of your twins. 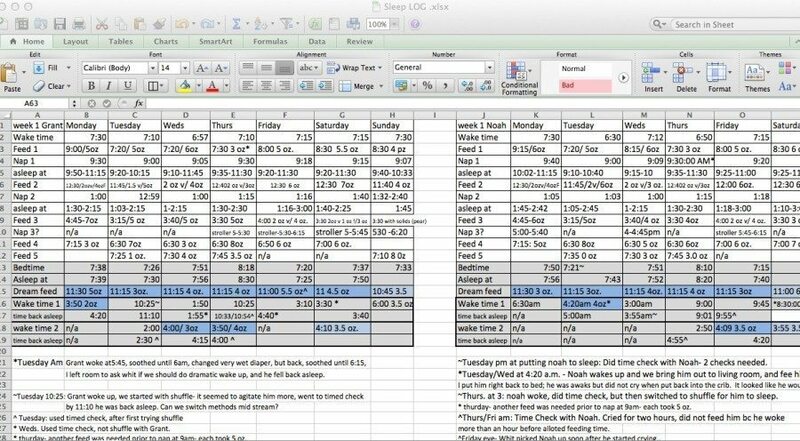 Some may find this tedious, but tracking is helpful for communicating with those that are helping you care for the babies, as well as doctor visits. The pediatrician will ask about milestones, appetites, amount of soiled diapers per day, etc. I don’t know about you, but I wouldn’t remember these details, especially with multiples! We also documented the outcome of each well-visit to keep all the information in one place. They are great mementos too. 1. Bedtime for the overnight tag-team member should be no later than 10 pm. This allows 4+ hours of sleep. 3. Before bed make sure to set up your bottles and alarm clocks for designated waking times. Formula: pre-fill bottles with room-temperature water. Partner adds powdered formula. Breastmilk: Store in pre-measured bottles in fridge. Partner warms them up. 4. Partner wakes for overnight feedings, (ours was 2 am and 3 am). First morning feeding (split): Baby A: 5 am/Baby B, 6 am. My partner woke for work at 5 am, and did 1st feeding. I’d take over at 6 am. Total sleep per partner =6 hours. Tag-teams should work together and step in for each other, especially if one isn’t feeling well or better yet, already awake. For example, if I was awake at 2am, I’d feed one baby while allowing my partner to sleep until 3am for the next feeding. During his days off work, my husband would join in the daytime shenanigans. 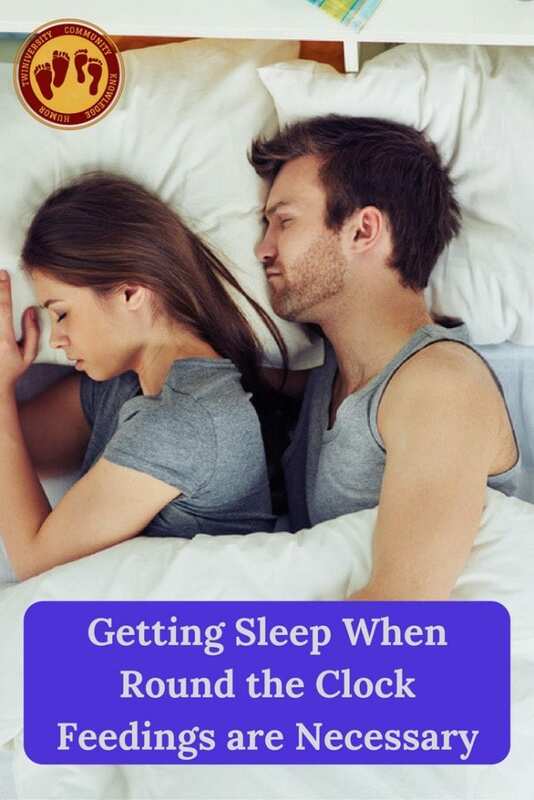 Anything to help each other out, as long as you’re getting the sleep you need. Another plus, aside from getting better sleep, you each get the benefit of bonding with the babies. Note: Be flexible yet consistent. Many parents opt to feed multiples at the same time immediately; we kept the NICU schedule until one baby started waking earlier, then following the baby’s cues we slowly closed the gap, first by a half hour and eventually we fed them together. I hope I have helped you understand how to work with your partner to become the best tag-team out there! With open communication, sticking to a schedule and most importantly, with each other, you’ll ensure that together you’re up for the challenge while getting more sleep during your babies’ early months. Lorraine Conforti is a proud new mom of twin boys and pet-parent of two cats and a dog. Being both conservative and artistic, she describes herself as “a little bit country and a little bit rock and roll.” She enjoys the arts, music, writing, and had performed in a Blues/Rock band with her Husband for several years. She is also passionate about health and fitness and has held certifications for nutrition and Personal Training, and has earned a BS Degree in Healthcare Management. 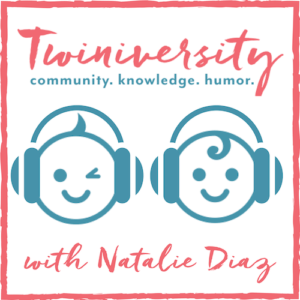 For articles by Lorraine on Twiniversity, click here.